At the weekend the violin and viola students enjoyed their first class with Luis Graziani. Luis is an experienced Uruguayan musician, specialising in the viola. He is a member of the National Symphonic Orchestra and a teacher at the National Music Conservatory. He is not an unfamiliar face to us, having helped us at various times over the years, but now he will give monthly seminars with Jesus, our top student, continuing to give weekly classes. 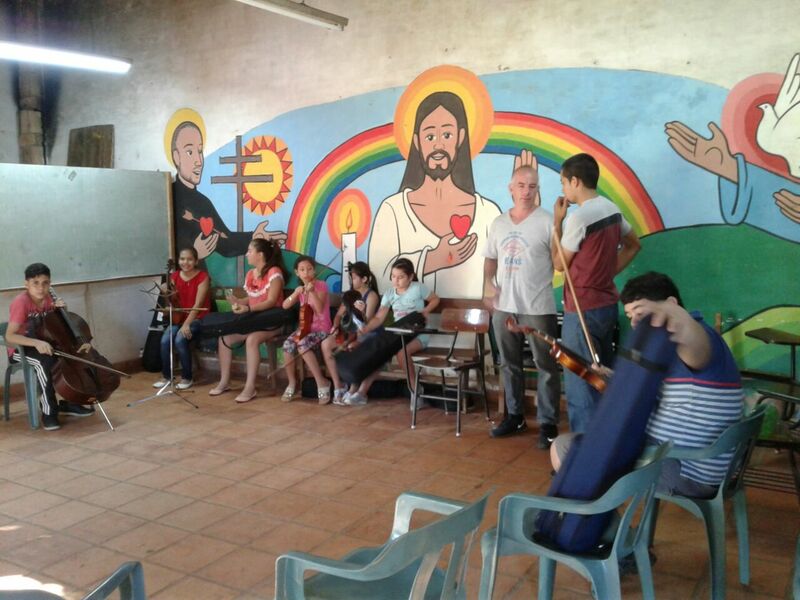 In the photo Luis, standing, can be seen talking to Jesus as the students prepare for the class.